Starting from the argument with the Count of Romanones on Spanish liberalism, the text looks at Ortega’s interpretation of liberalism, socialism, and the nation. At the abstract nature of liberalism, Ortega replies with the need for a true democracy opened to new socialist forces. At the same time, he believes that Spanish socialism must acquire a national character, namely working to create a strong social body, independent and able to turn the state into a federal structure. During the dictatorship led by General Primo de Rivera, the Count of Romanones, an important representative of the Liberal party, proposed establishing a unified front of opposition to restore the constitutional freedoms. Ortega criticized the plan, which was in his opinion equivalent to restoring the same political conditions that led to the dictatorship, suggesting a deep reformation of the political institutions. The abstract nature of freedom, as it is conceived by liberalists and by the Constitution repealed by the General, is criticized, claiming, instead, the need to establish a true democratic government in Spain, open to socialist demands. 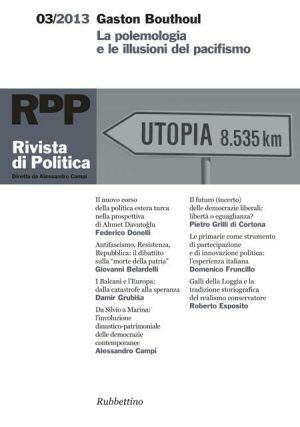 At the same time, Ortega develops an original view of the so called ‘political realism’. In the middle of the Sixties economist Murray Rothbard and historian Leonard Liggio, both libertarians who traced their origins to the Old Right of the Thirties and Forties, tried to reconcile libertarian thinking and New Left political ideas and practices. 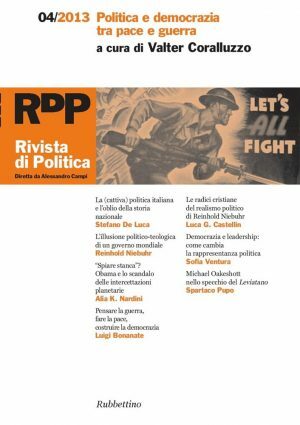 Rothbard and Liggio established two little magazines, «Left and Right» and «The Libertarian Forum»; they endorsed the civil right movement, the students uprisings, the black revolts and, in general, the rebellious spirit of the age, asking for the end of the Vietnam War, the making of alternative institutions (to the State) and the impeachment of California governor Ronald Reagan for murder; they tried to convince New Left leaders and intellectuals to embrace free market capitalism and to renounce socialism, collectivism and the State. Their attempt failed, but created the premises for the development of the Libertarian movement and the Libertarian Party. Radical libertarianism is supposed to favor the establishment of a political order without the state. However, many libertarian scholars support secessionist movements all around the globe and the birth of new and smaller states. This paper investigates the reasons of the objective alliance of separatism and libertarianism and how the dissolution of nation-states could help the emergence of a free-market society. In this article I analyse the tradition of natural law and natural rights within the libertarian framework. Particularly, I shall focus on Rothbard’s and Rand’s accounts of natural right, interpreting them as the attempt, not entirely successful, to substitute both politics and the state with an austrian theory of the free market. Libertarians e left-libertarians contend John Locke as inspiring father. The firsts consider him a supporter of private property as a natural right, the seconds underline that, on the ground of the so called lockean proviso, everybody are owners of a their share of Earth. An analysis of the lockean text shows however that no one has fully reason and that the truth is in the middle, since at the equality in ownership does not correspond an equal monetary distribution. In this article I address the origins and features of ‘postanarchism’, and briefly analyze the works and definitions of Todd May (poststructuralist anarchism), Saul Newman (postanarchism), and Lewis Call (postmodern anarchism). I also consider, especially in the final section, some critiques to postanarchism coming from those who, like Nathan Jun, find that the picture of ‘classical anarchism’ provided by postanarchists should be reconsidered. The memoirs of the former militants of the Italian Revolutionary Left emphasize an interpretation of political violence during the 1970’s basically as an instrument for defending themselves from a potentially authoritarian state and a purely formal democracy. Because of this, the revolutionary reasons at the base of that choice are substantially forgotten. The violence suffered by the Extreme Left due to state repression and fascist groups is always underlined. However, only rarely does the Left’s violence, that was actually considered an essential element in their mission to provoke a radical upheaval of society, emerge. 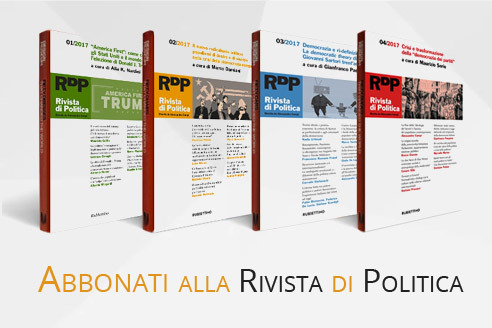 This article provides an overview of the research into Italian terrorism published between 1977 and 2012 in the two the leading journals specializing in terrorism research, «Studies in Conflict and Terrorism» and «Terrorism and Political Violence». The aim is that of assessing the accuracy of President Napolitano’s affirmation – following the news of the Brazilian government’s decision not to extradite Cesare Battisti – that foreign countries had not understood the dramatic nature of Italian terrorism. Analysis of the literature in question revealed that American scholars had grasped the scale, pervasiveness and gravity of the terrorist phenomenon in Italy. There are many novels and short stories by Italian authors that, over the last ten/fifteen years, have dealt with the season of terrorism and of political violence. The article examines many of these works, showing how, even in them, many taboos, fears and misgivings of those years remained intact. In many novels there is, for example, a tendency to erase the spilling of blood and the harshest aspects of violence. And almost nothing is said about thevictims of terrorism. 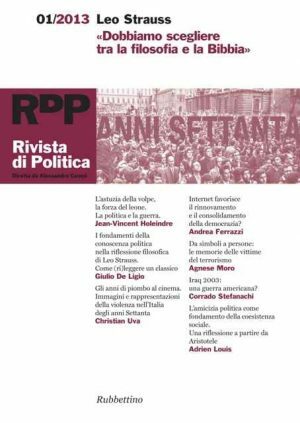 The risk, even in such literature, is to adopt the terrorists’ point of view and interpret the “anni di pimobo” from an intimate and sentimental perspective, overlooking the ideological roots of political violence. 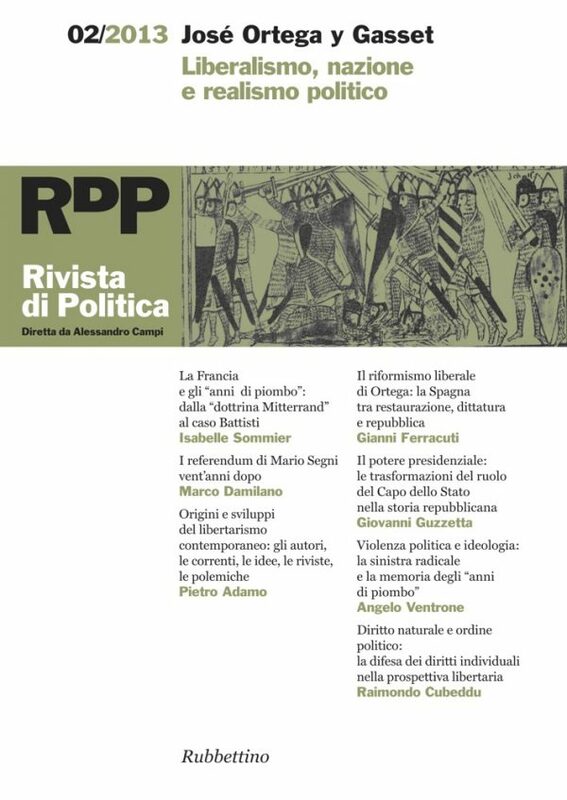 The article investigates the controversy between France and Italy relating to the “anni di piombo” and the years of political terrorism, highlighting the ideological prejudices underlying the controversy itself. Through the so-called “Mitterrand doctrine” France – that considered Italy, in the seventies and eighties, a democracy on the verge of turning into an authoritarian regime – often sheltered and protected Italian citizens involved in the armed struggleand wanted by Italian justice. Such a policy was also pursued by Mitterrand’s successors, as shown by the controversy over Cesare Battisti, an exile in France for many years before fleeing to Brazil with the help of the Parisian authorities.